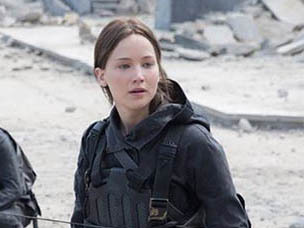 Jennifer Lawrence's official Facebook page received the honour of exclusively debuting our first official still from Mockingjay - Part 2! 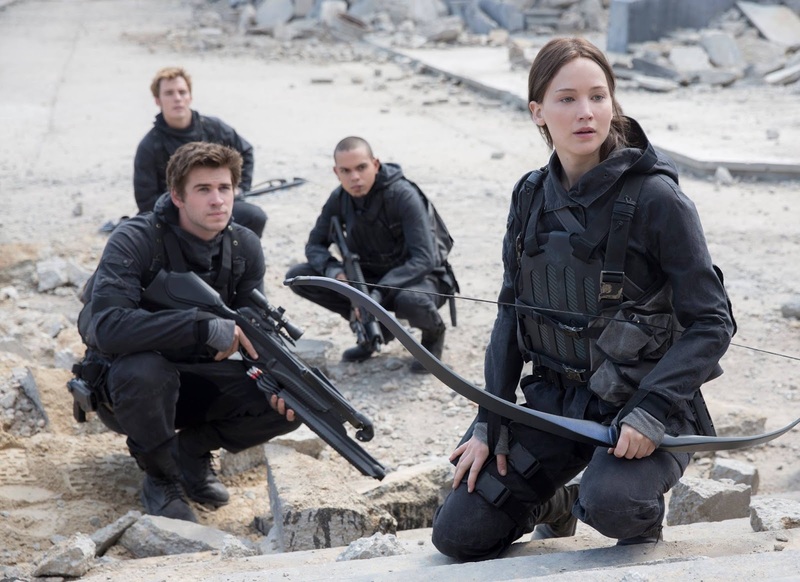 The still features Katniss, Gale, Messalla and Finnick in their full battle gear. The location appears to either be in the Capitol ruins, or perhaps District Two. Check it out below, and stay tuned for the hi-res version. The post on Facebook also teased the date June 9th, so stay tuned! Judging by a tweet from producer Nina Jacobson last week confirming that a trailer for the film is indeed ready to go, we think this is very likely teasing a trailer debut, timed to appear in theatres with Jurassic World. Feel free to have a guess at the length of the upcoming trailer in our poll.